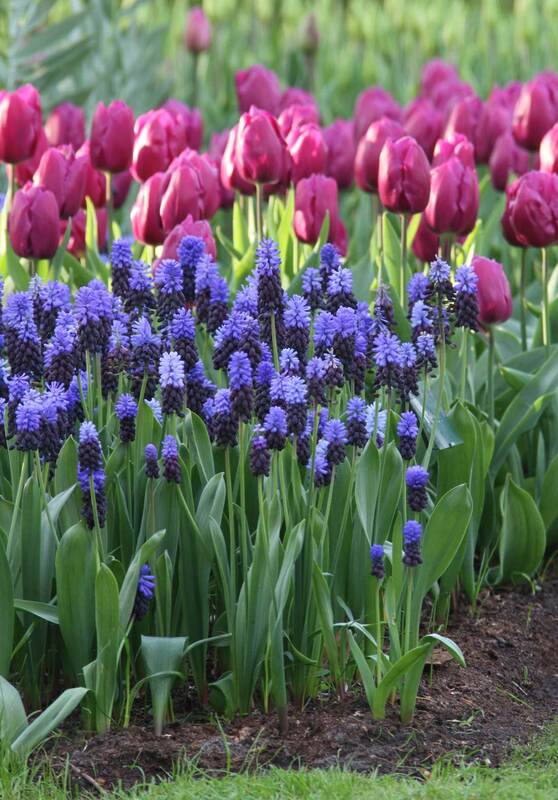 Muscari — better known as grape hyacinths — are beautiful on their own, but what these care-free bulbs really excel at is collaborating. 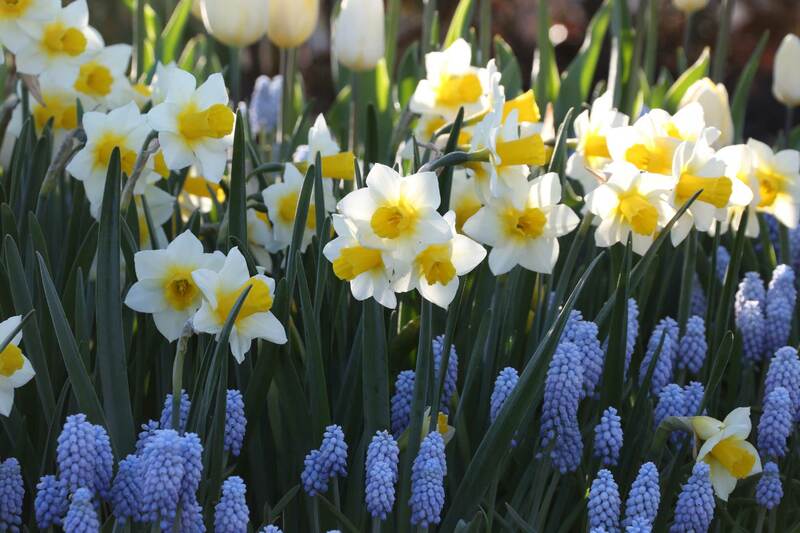 Their compact height and soothing blue hues bring out the best in whatever flowers are nearby. 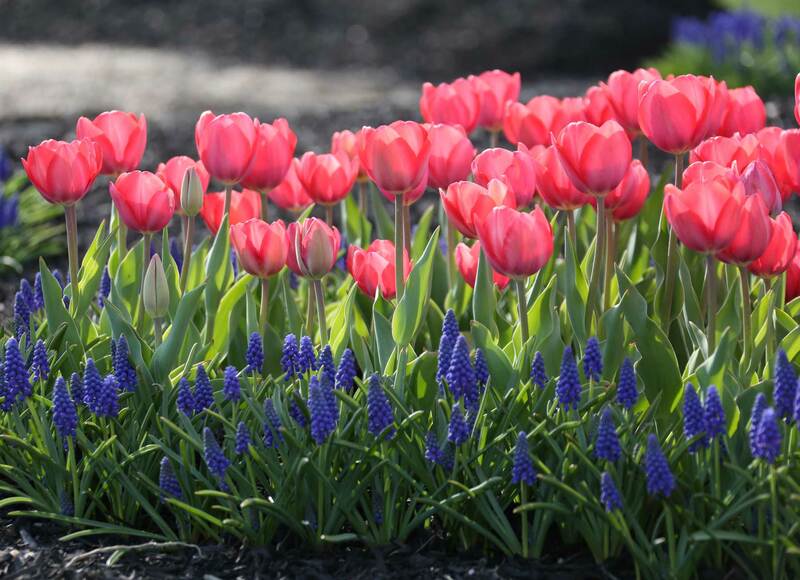 Each year we plant thousands of muscari in our New Jersey trial garden. This isn’t to see how well they’ll perform, because, we already know the answer to that. (Always great!). 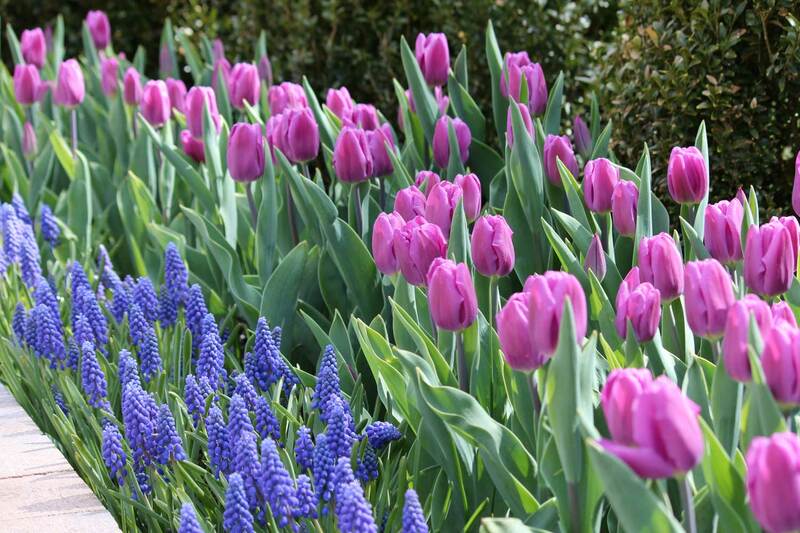 We plant them because they are so good at complementing the shapes and colors of other bulbs. 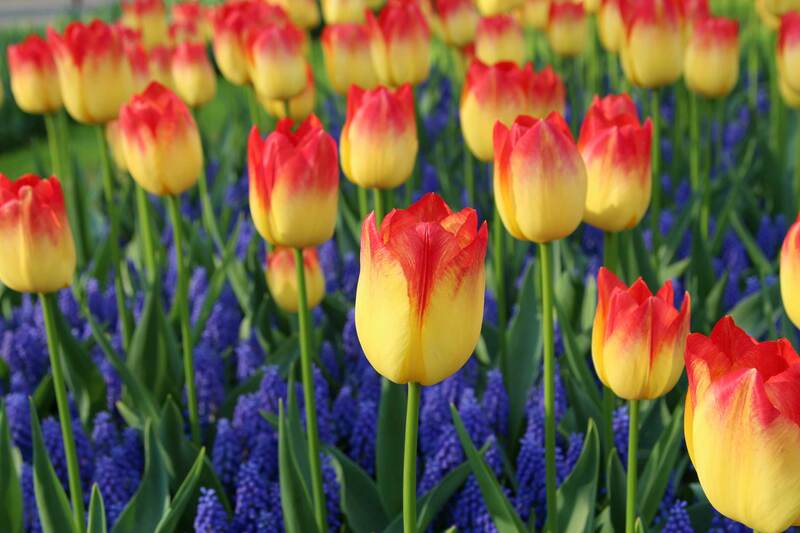 Height: Most varieties are 5 or 6″ tall. 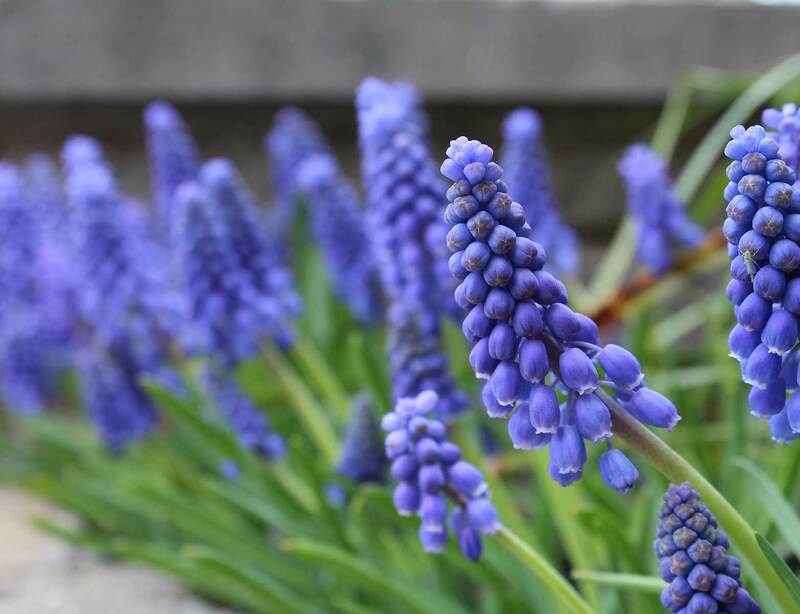 Muscari latifolium stands about 8″ tall. Color: You can choose from powder blue (Valerie Finnis), multi-blue (Ocean Magic and Blue Magic), cobalt blue (armeniacum) and midnight blue (latifolium). Fragrance: Most varieties have a light fragrance that smells (to me) like grape juice. The best way to appreciate their fruity fragrance is to cut a bunch and bring them indoors. The flowers last for a week in a vase and look sweet combined with primroses and violas. 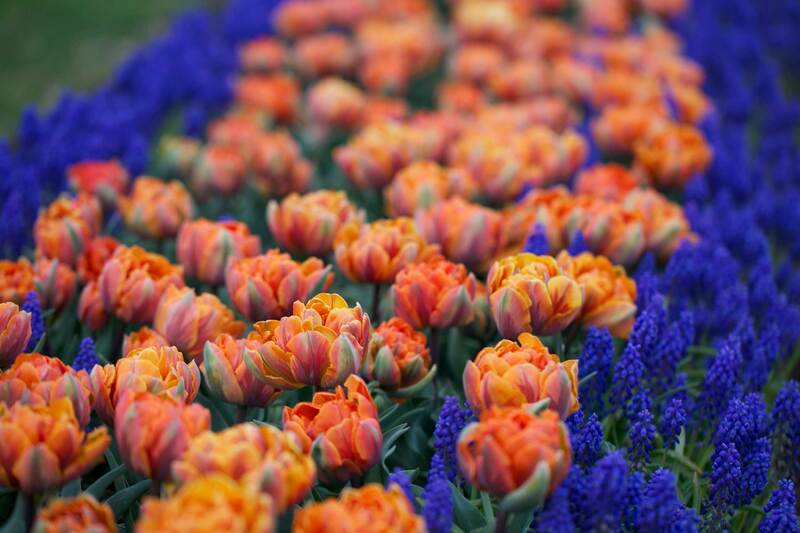 Bloom Time: The flowers open in mid-spring, at the peak of daffodil and tulip season. 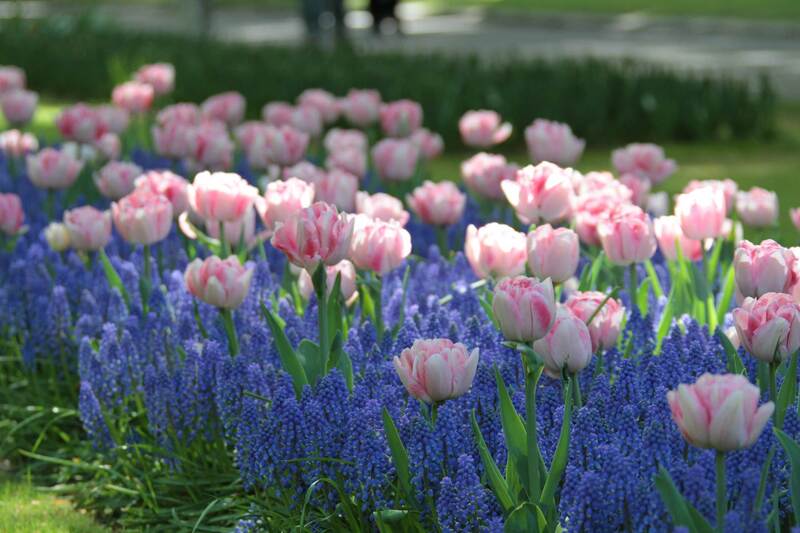 Longevity: Plant the bulbs in a sunny location with well-drained soil, and they’ll return to bloom again year after year. 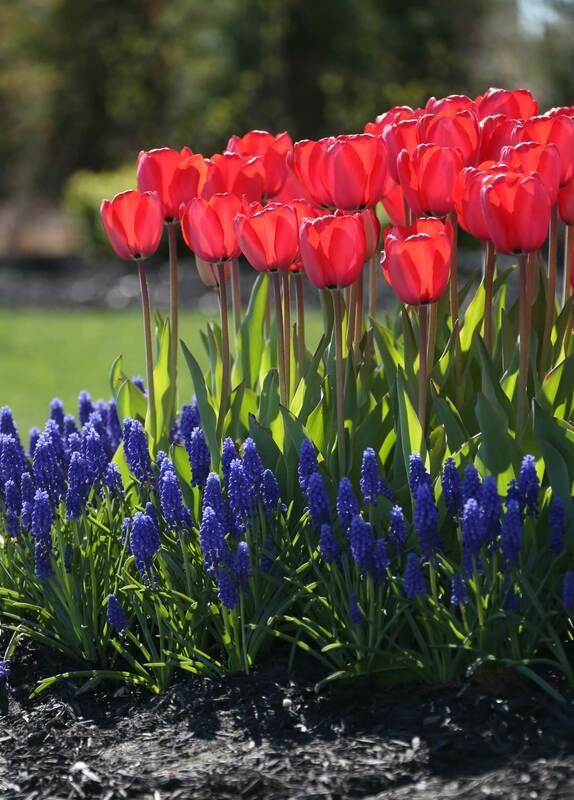 Planting: Planting is easy because the bulbs are small and only need to be buried 4″ deep. 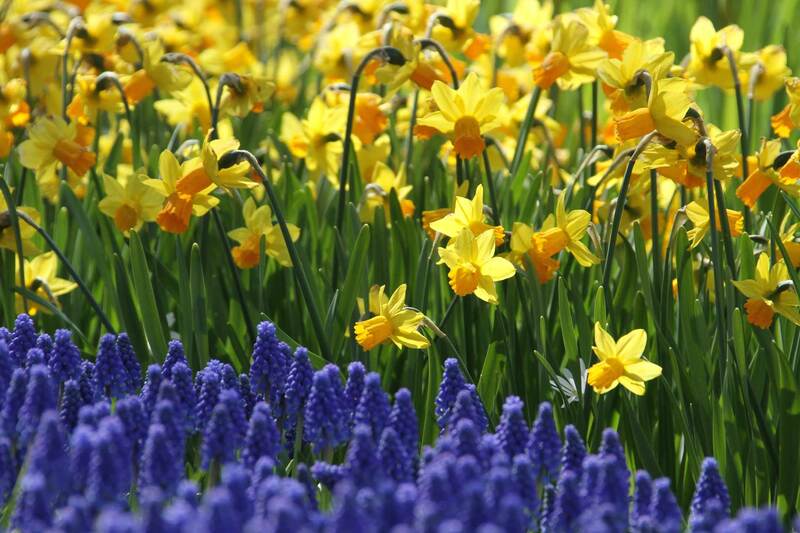 You can plant them beside other bulbs, or layer them right on top of bulbs that you have planted slightly deeper. 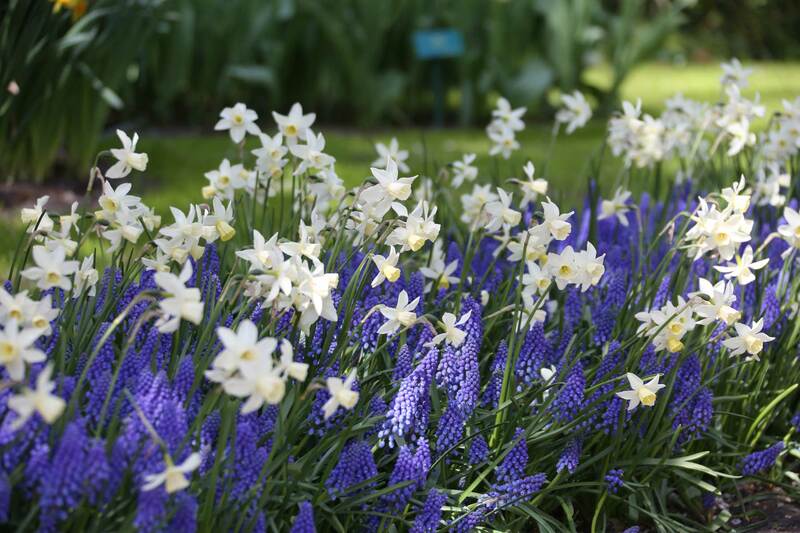 Containers: Muscari grows as well in containers as they do in the garden. 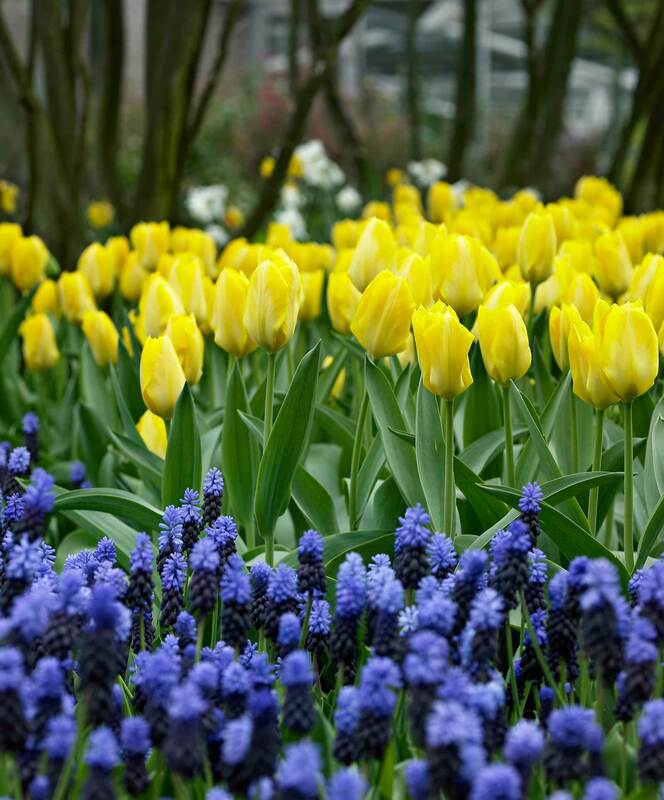 You can plant them in pots on their own, or use the lasagna method, planting tulips or daffodils first and layering the muscari on top.